We deeply appreciate your support for FIERCE! As a grassroots organization we rely on our community to ensure FIERCE can keep building the leadership and power of LGBTQ youth of color. Thanks for making this vital work possible! Make a one-time gift: You can donate online through our simple and secure donation page, or mail a check to FIERCE, 147 West 24th Street, 6th Floor, New York, NY 10011. Please make your check out to FIERCE. 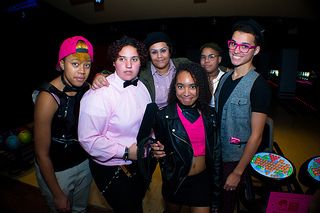 Become a FIERCE Major Donor: Thank you for being a strong supporter of FIERCE and LGBTQ youth organizing! FIERCE Major Donors commit to giving a thoughtful annual gift of $250 or more to support our work. This includes becoming a monthly sustainer (that's $22/month!) Major Donors receive a special appreciation gift from FIERCE annually. You can make your major gift online or mail a check to FIERCE. To sign up to join our annual major donor campaign in the fall, please email Co-Director Krystal Portalatin. 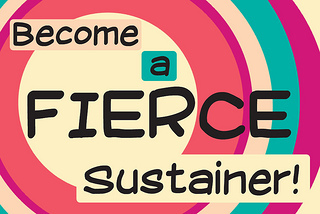 Join the Circle of Sustainers: FIERCE sustainers sign up with recurring gifts between $5 and $21. By setting up a monthly or quarterly donation with your debit/credit card, you help to ensure FIERCE has a reliable, consistent base of support this economic climate. Join as a sustainer today by selecting “monthly” or “quarterly” on our donation page and receive a special appreciation gift from FIERCE! Host a House Party: House parties are a fabulous way to bring your friends and community together to raise money for FIERCE! Please email Co-Director Krystal Portalatin for more information and a copy of FIERCE’s House Party Toolkit. Donate Stock: By donating appreciated securities to FIERCE, you can receive a tax-deduction for the current fair market value of the asset while avoiding capital-gains tax. For more information about gifts of stock to FIERCE and to receive our stock transfer form, please contact Co-Director Krystal Portalatin. Company Matching Gifts: Does your company offer a matching gifts program? If yes, you could make your gift to FIERCE go even further. Before donating, please check to see if your company will match your gift. You could end up doubling or even tripling your gift to FIERCE! Make a Memorial or Honorary Gift: To give a gift in honor or in memory of someone, please fill in the dedication section on FIERCE’s donation page, or note your dedication in the memo of the check you mail to FIERCE. Thank you!